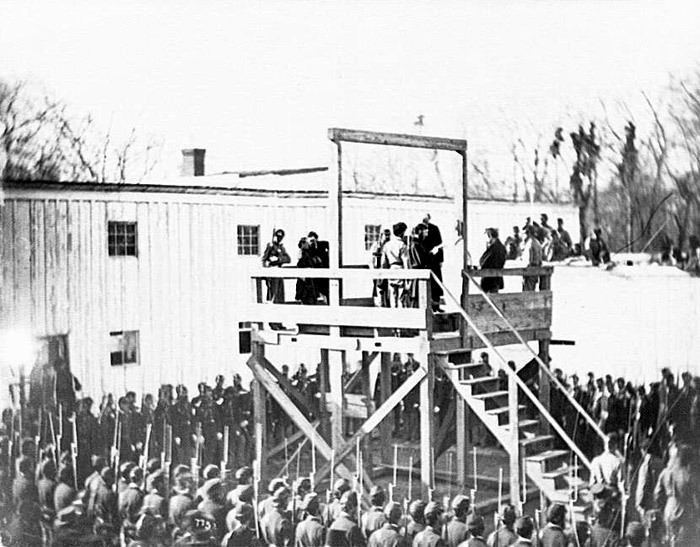 CREDIT: Washington, D.C. Reading the death warrant to Wirz on the scaffold, 1865(?). Prints and Photographs Division, Library of Congress. Reproduction Number LC-DIG-cwpb-04194.